MoviePass Changed Its Terms. Is It Still Worth It? Editor's Note: After this article was published, MoviePass announced it plans to bring back the one-movie-a-day for $10 a month plan. The unlimited plan is currently available on the MoviePass website. Over the summer, movie ticket startup MoviePass started offering its users one movie every day of the month for $10. Over the weekend, MoviePass changed its terms and conditions for new users, restricting them to four movies a month for $10. Under the new terms, customers are also not allowed to see select movies twice, but it is unclear what movies are considered under that plan. 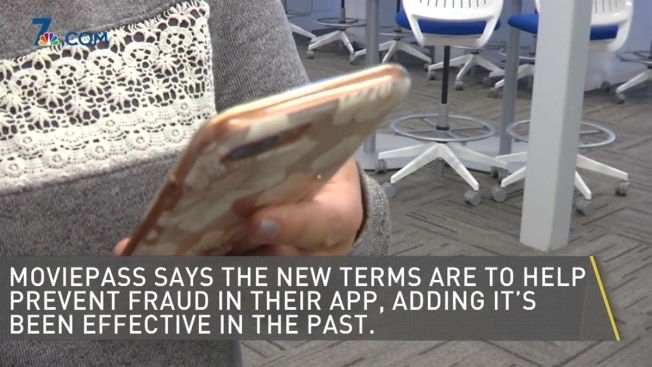 The company said this is to help prevent fraud in its app, adding it has been effective in the past. MoviePass now makes users upload their tickets to their cellphones. In an email to existing customers, they said failure to do so multiple times could result in "irreversible termination of your subscription." The company says the reason is to test for fraudulent activity. Belch said the business model might not be sustainable in the long run. But Belch adds it is still a good deal if you are a frequent moviegoer because you will still be saving money with the new plan.